Shop Rugs from NANIMARQUINA at Stardust, the largest collection of Nanimarquina Rugs online. 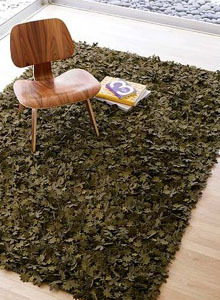 Spanish designer Nani Marquina created the Nanimarquina rug company in Barcelona Spain in 1987. The Spanish rug company is dedicated to the design and edition of wonderful contemporary modern designer rugs, modern carpets and vibrant textiles. Some notable modern rugs created by Nani Marquina include: Black on White Manuscrit Modern Rug by Joaquim Ruiz Millet, Flying Carpet Rug by Nani Marquina, Little Field of Flowers Contemporary Rug by Nani Marquina, Roses Rug by Nani Marquina, Seagrass Rug by Nani Marquina, Sybilla Mosaico Rug by Nani Marquina, Topissimo Rug by Nani Marquina which continues to be (Super) Nani's favorite. Stardust can custom make any Nani Marquina rug to meet your size requirements. Please contact us if you are looking for a custom Nanimarquina rug size.